When a visitor commented on how colorful my Fell Pony herd was, I decided to find out how the color palette of my herd compared to that in the breed as a whole. The original article appeared in the June 2015 issue of Fell Pony News from Willowtrail Farm, available by clicking here. My herd is indeed more colorful than the worldwide foal crops from ten years ago and more recently. 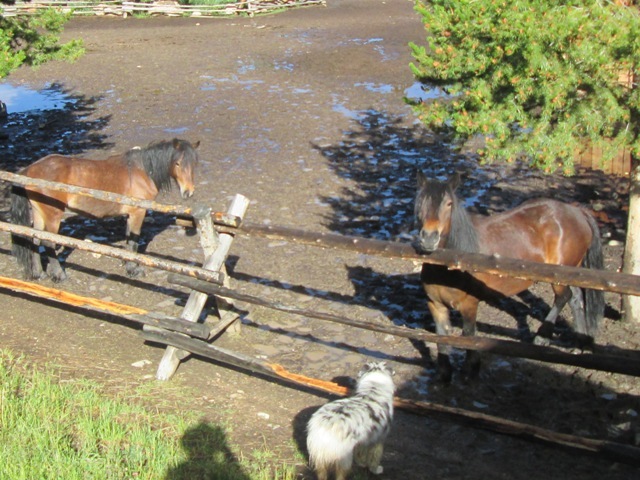 Of course in a herd my size (relatively small), a change in population of one pony has a big impact on numbers! The worldwide foal crop has also become more colorful from 2005 to 2013, with the biggest change being the increase in bay/brown ponies. The North American 2013 foal crop was slightly more colorful than England’s or the worldwide one. It was also more colorful than the North American population overall. The North American 2013 foal crop had a higher percentage of grays than the average for the breed. The Dutch only registered black foals in 2013. There’s more detail in the complete article, available internationally by clicking here. 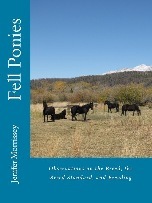 And you can find more stories like this one in my book Fell Ponies: Observations on the Breed, the Breed Standard, and Breeding, available internationally by clicking here or on the book cover.